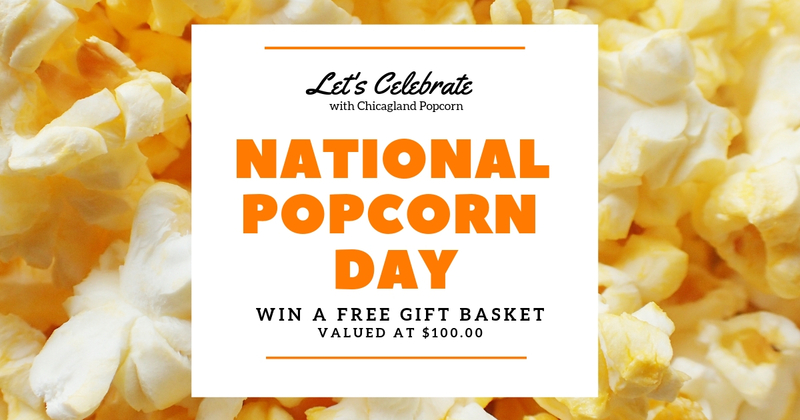 January 19, 2019, is National Popcorn Day and we’re celebrating by giving away a Chicagoland Gift Basket valued at $100. That’s right 1 lucky customer will take home a gift basket filled with our delicious gourmet popcorn treats and other goodies. Don’t miss out on the excitement! Free ½ cup favor bags of popcorn will be available to all store guests while supplies last!